With hurricane Sandy quickly approaching, The Wall Street Journal and The New York Times have taken down their paywalls to everyone access to their content in lieu of the impending storm. 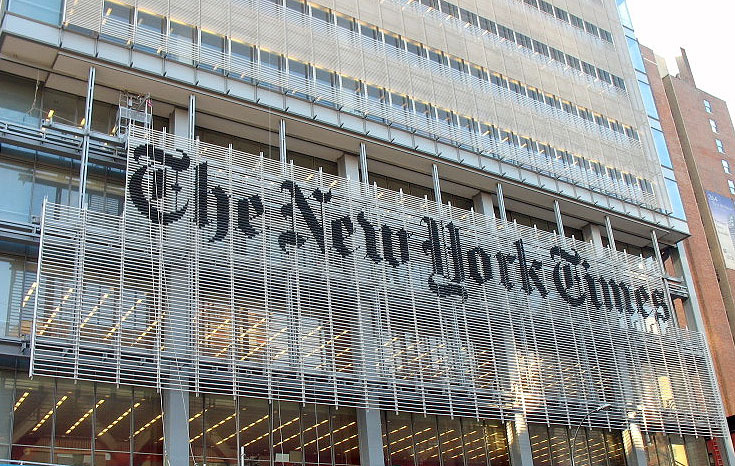 Without restricting readers to the barrier of a limited number of articles per month, The New York Times told Poynter that the paywalls have been removed from all devices. The newspaper removed its paywall last year when Hurricane Irene hit. “The gateway has been removed from the entire site and all apps. The plan is to keep it that way until the weather emergency is over,” New York Times spokesperson, Eileen Murphy told Poynter. The Boston Globe, The Baltimore Sun, and Newsday are also offering up total access for the duration of the storm. With just about every channel in New England replacing regularly scheduled shows to cover Sandy, The New York Times and many other news sources are inundating readers with the latest developments. Otherwise, many of us would hit the 10 free articles per month barrier in no time as the conditions outside rapidly deteriorate leading up to the hurricane. The New York Times and The Boston Globe in particular have been known for their easy-to-circumvent paywalls. Readers can simply find the title of the article that they wish to read and Google it to gain access to the it without using up any of their set 10 free articles per month. The Wall Street Journal, on the other hand, has been adamant about its “hard” paywall, where the only way to read the articles would be to subscribe to the journal. But it’s a rarity for publications to offer their online content with no strings attached, and for the moment anyone, including readers not in the affected areas, can read from these news sources since the paywalls aren’t location-specific. So enjoy it while it lasts, people, because those barriers will be going back up soon. The storm has been reported to last until Tuesday, but for now the publications haven’t said how long the paywalls will be taken down.